M 80 (also known as Messier 80 or NGC 6093) is a globular cluster in the constellation Scorpius. It was discovered by Charles Messier in 1781. M80 is located midway between α Scorpii (Antares) and β Scorpii in a field in the Milky Way that is rich in nebulae. It can be viewed with modest amateur telescopes as a mottled ball of light. 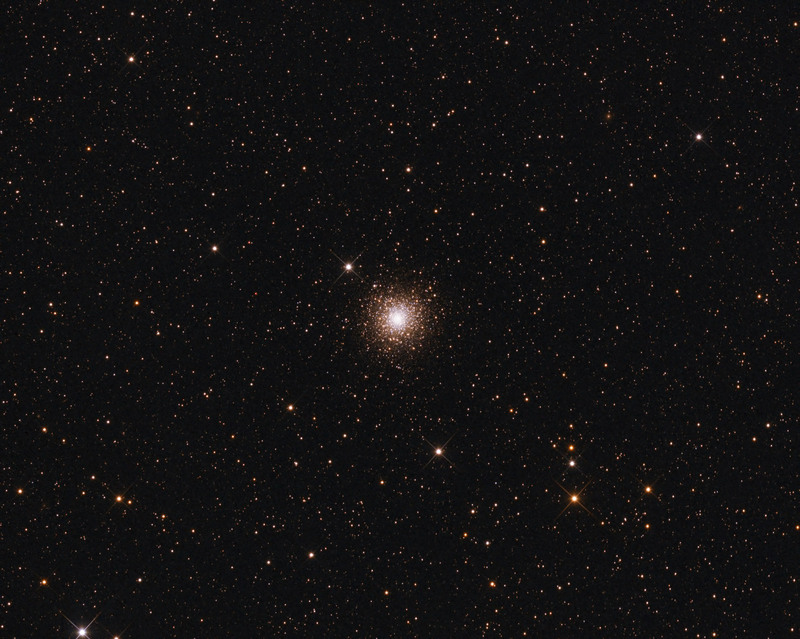 With an apparent diameter of about 10' and at an estimated distance of 32,600 light-years, M80's spatial diameter is about 95 light-years. 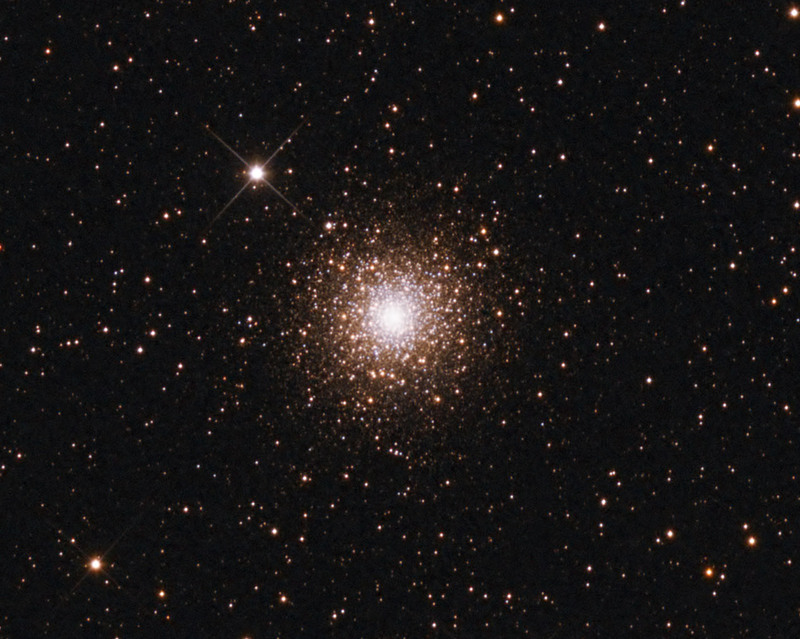 It contains several hundred thousand stars, and is among the more densely populated globular clusters in the Milky Way Galaxy.